This project proposes a new urban design for the area between Amsterdam city and its airport Schiphol - the so called Airport Corridor. 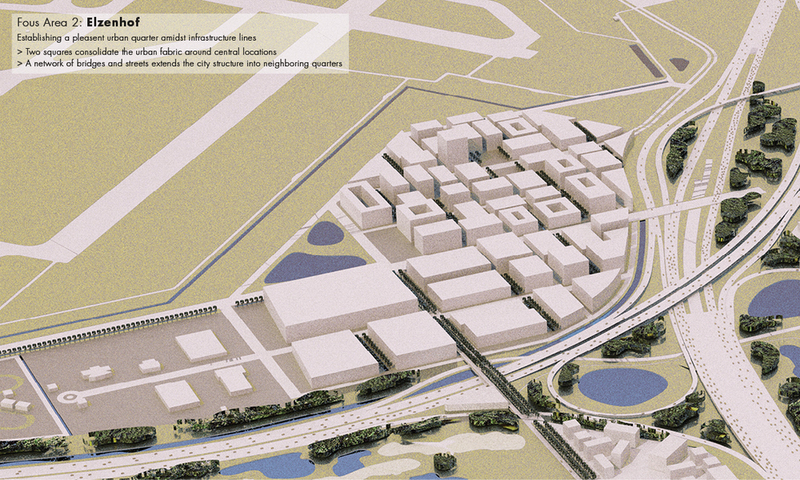 It establishes a strategy for the whole corridor, as well as detailed designs for two focus areas. Key elements of the urban design include optimized public transport access, zoning and density regulations, as well as the integration of existing landscape structures.